This track is named for an ISQOLS leader and pioneer in the quality of life theory and research in Southeast Asia, especially in the conduct of national surveys and polls to gauge shifting public attitudes on a wide range of social issues. Contributions made to the “Mahar Mangahas Endowed Track” will permanently endow a track on “Advancing Quality of Life and Well-Being in Southeast Asia” to be held as part of each ISQOLS international conference program beginning with our conference in Hong Kong. This track will include as least two sessions consisting of three or more participants whose research activities overlap with the purpose of this endowment. Sessions organized by each Conference Program Committee will represent topical areas of the theme “Quality of Life and Well-Being in Southeast Asia.” Such topical areas could be, but are not limited to, any of the following: subjective well-being and ill-being indicators, opinion polls and election surveys, indicators of governance, cross-country survey comparisons, and institutional factors affecting quality-of-life measurement. Mahar Mangahas is an economist (PhD, University of Chicago) whose research spans rice economics, land reform, poverty, hunger, income inequality, quality of life, governance, and public opinion. He has been an economics professor of the University of the Philippines, editor of the Philippine Economic Journal, President of the Philippine Economic Society, and President of the Marketing and Opinion Research Society of the Philippines. He did pioneering research on Philippine social indicators at the Development Academy of the Philippines. He was a UNICEF social indicators consultant in Malaysia and Indonesia. 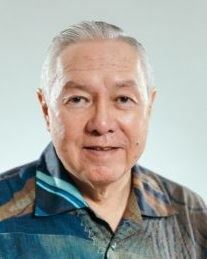 In 1985, he co-founded and has since headed Social Weather Stations (www.sws.org.ph), an independent non-profit institute that conducts quarterly national Social Weather Surveys on quality of life, governance and public opinion, publishes its findings, and archives the data for public use. Its mission is to generate scientific, relevant and timely statistics for general public discourse, in the context of a democracy. As of March 2017, the SWS archive holds 571 datasets (of which 278 are national), based on 893,000 face-to-face interviews and 105,000 questionnaire items. Many items are designed for cross-country analysis, since SWS is the Philippine member of the International Social Survey Program, the World Values Survey, Asian Barometer, and Comparative Studies of Electoral Systems. The SWS quarterly surveys on self-rated poverty -- which received the 1993 Elizabeth Nelson Award of the World Association for Public Opinion Research (WAPOR) -- form the most rapid statistical system of tracking poverty in the world. Its series of 100-plus national observations over three decades reveals that poverty is highly volatile in the short-run, responsive to price inflation, and insensitive to aggregate economic growth. Despite being an economist, Mangahas maintains that monetary indicators of economic well-being (or else ill-being, such as poverty) are impractical, since their long questionnaires on the earnings and expenditures of family members occupy so much survey interview time. Subjective, or opinion-poll type, indicators are a very convenient way to periodically measure both economic and non-economic dimensions of well-being, and to account for the influence of the contemporary social and political environment. The opinion-poll content of the Social Weather Surveys has made them very popular for analysis of governance, including prediction of elections. In 2001, Mangahas received WAPOR’s Helen Dinerman Award, after SWS successfully petitioned the Philippine Supreme Court to rule that legislation to suppress publication of election surveys is unconstitutional. His other awards include the 2011 University of Chicago Alumni Award for Public Service, the 2014 Distinguished Research Fellow Award of ISQOLS, and the 2015 Distinguished Alumni Award of the University of the Philippines School of Economics. Mangahas writes a weekly column, “Social Climate,” in the Philippine Daily Inquirer.